A $950 all-inclusive session fee covers our session together and includes your entire session of at least 30 high resolution digital images for download, 4×6 fine art prints of your full gallery, and access to my carefully curated studio wardrobe of high end mommy and baby clothing. Sessions typically fill several months in advance, so it’s best to contact me well before your preferred session date. For a full price list, e-mail me at GraceHillPhotography@yahoo.com. Newborn Session – A relaxing, calming experience for families that captures forever the essence of your baby’s individuality and beauty. 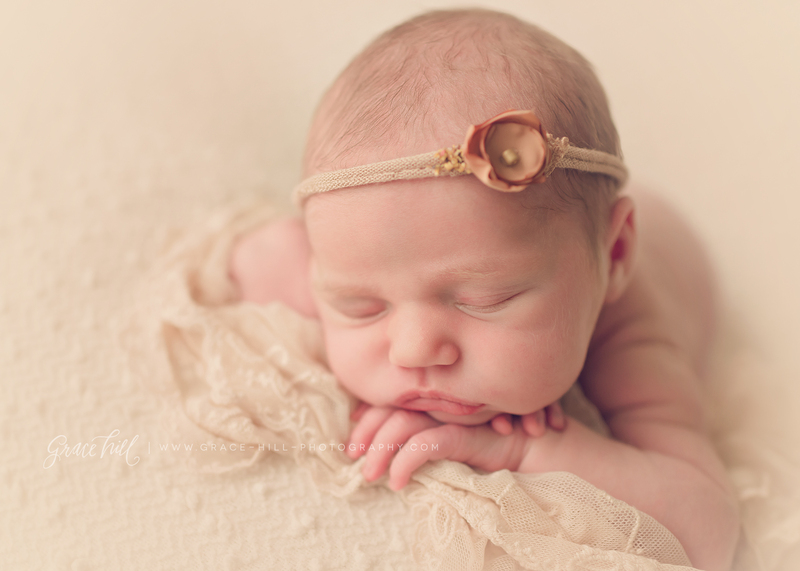 This is a 2-4 hour styled session in my studio when baby is under 14 days old. Family and sibling portraits are included if desired. 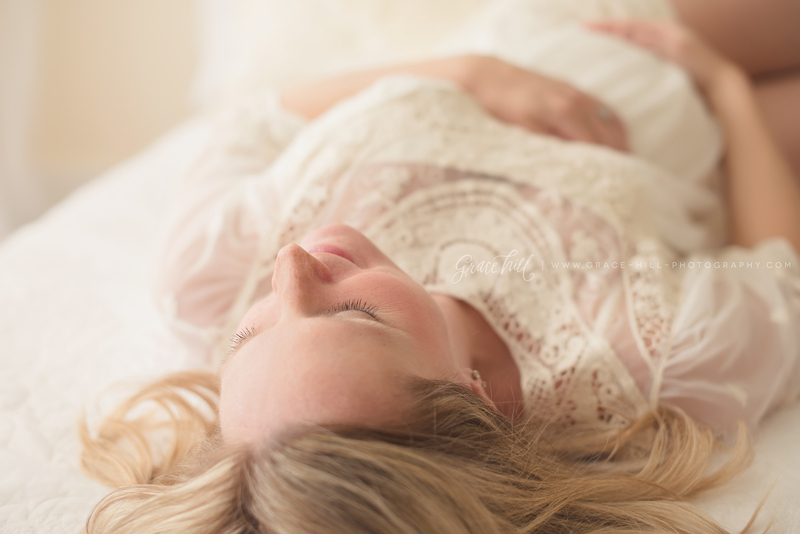 Maternity Keepsake Session– Airy, elegant and pure, these sessions are incredibly peaceful and calming. Can be scheduled in studio during the day, or outdoors at sunset if weather permits. Clients receive access to my gorgeous line of maternity clothing hand selected to make expectant moms feel comfortable and beautiful.